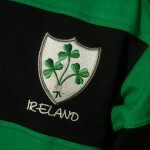 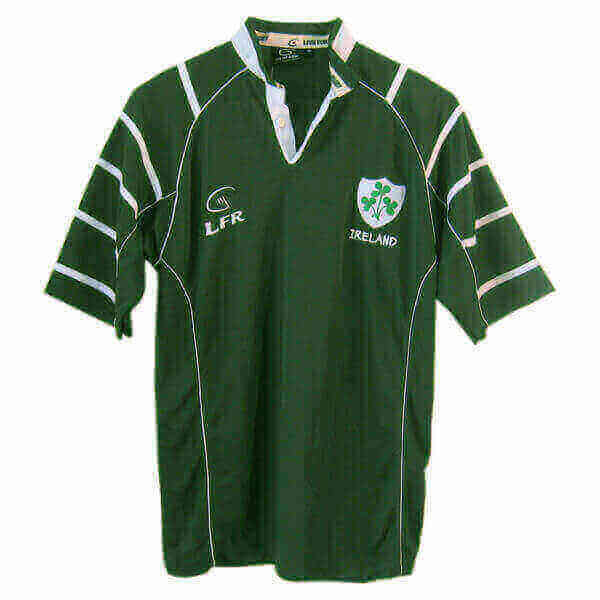 A superb Irish rugby shirt. 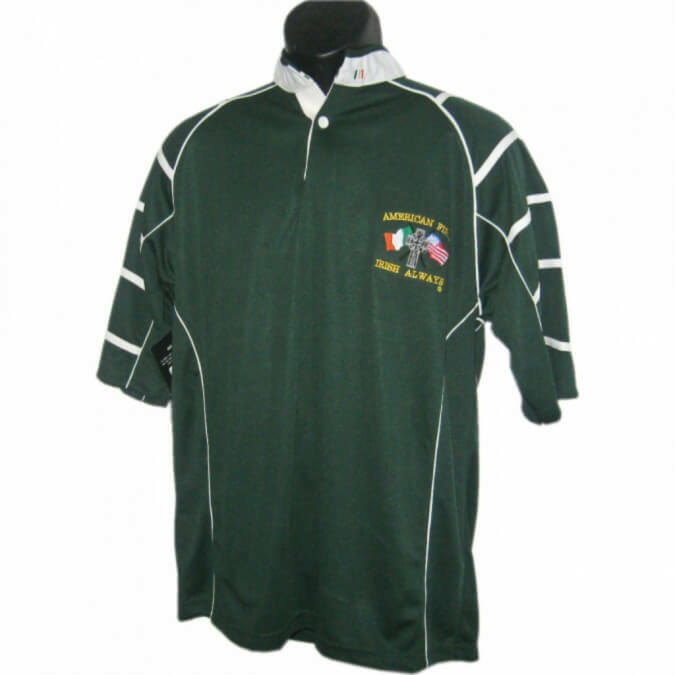 Expertly manufactured to the highest standards of rugby style clothing. 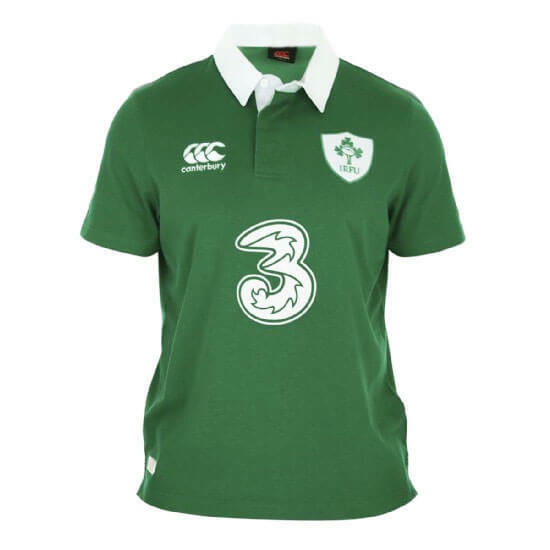 Green and blue colors with shamrock crest and subtle shoulder padding. 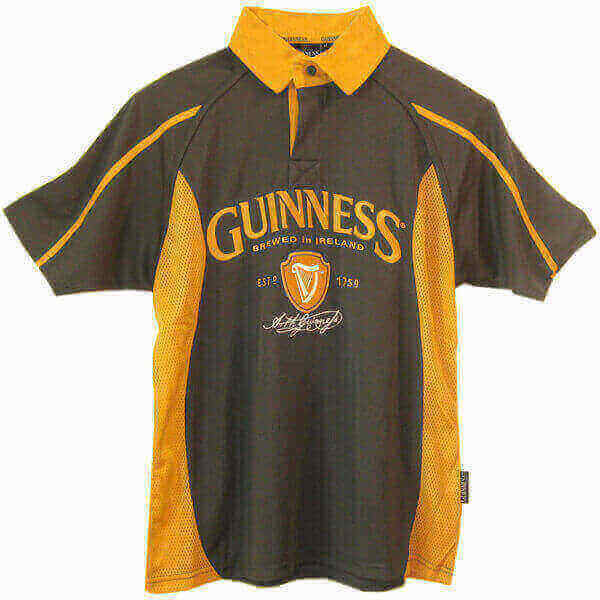 One of our best rugby shirts. 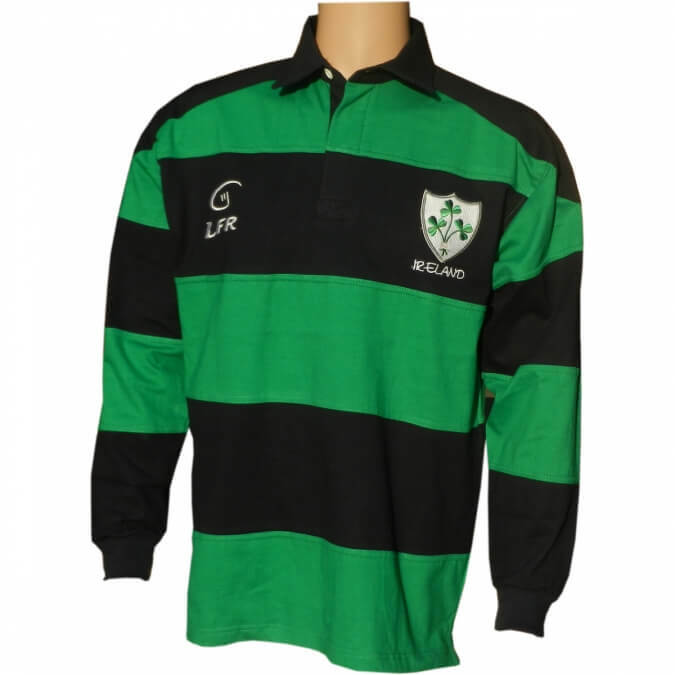 Long sleeve with authentic game style rubber buttons.